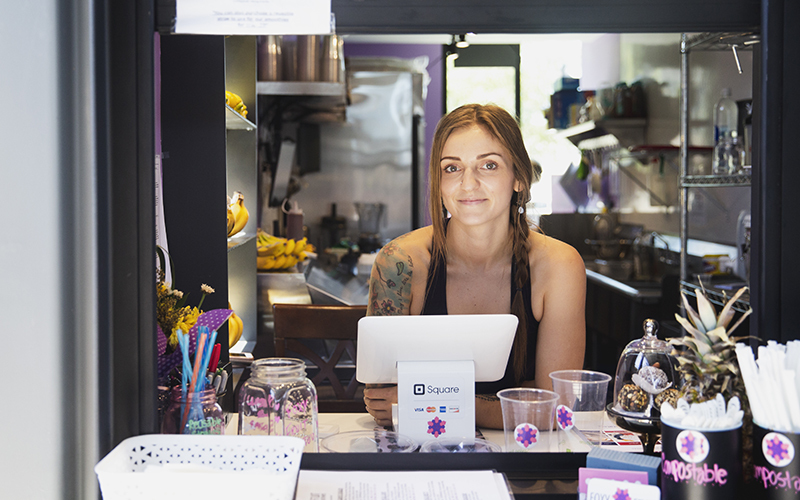 PHOENIX – The city is making strides toward a more pedestrian-friendly downtown in a move to build community and boost business. Phoenix this summer opened a “more walkable” area along First Street just south of Roosevelt Street, where workers widened sidewalks, planted 125 shade trees and narrowed First Street from two lanes each way to one lane lane each way from McKinley to Moreland streets. Vermon Pierre, president of Roosevelt Row Community Development Corp., said the improvements are essential to creating community. “We have sidewalks and benches and other places that we can participate in and invest in, and I just encourage us to continue to tell that story, to continue to build a downtown community that we love so much,” he said. City officials and business owners said they hope wider sidewalks will make storefronts more accessible to foot traffic. A 2016 George Washington University study found that places with high levels of walkability also experience increases in consumer spending and revenue. 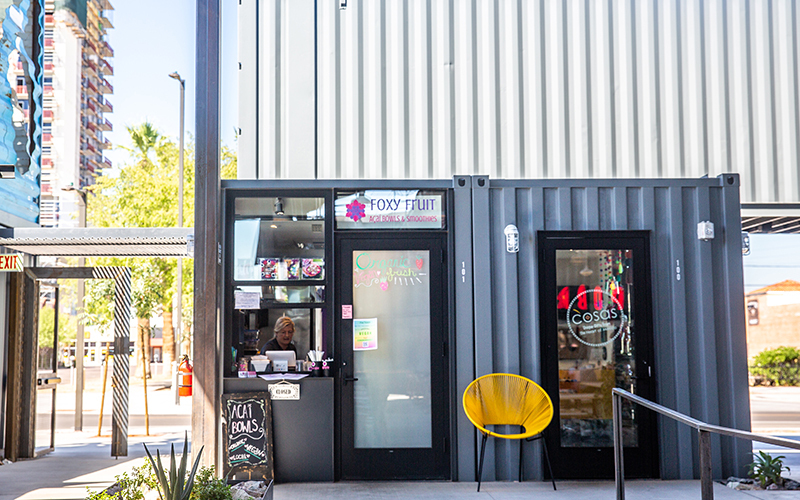 Cameo Wilson, owner of Foxy Fruit Bowls and Smoothies, said the enhanced accessibility contributed to her decision to pick First Street as the location for her first walk-up service window. “It’s really convenient for people to just be walking down the street on this nice new sidewalk with tons of new parking,” she said, adding that the shade trees and new angled parking are a bonus. “Everything just looks very clean and updated and nice, and it definitely brings a more fresh feel to downtown,” she said. Such renovations have attracted new businesses and a more constant flow of customers, said Jim McPherson, a member of Evans Churchill Community Association. He works with businesses, residents and city officials to come up with ideas like the First Street improvements. “You now have spaces that are now filling in. There’s an increased interest, like this building here, of coming to the community,” he said, pointing to the Churchill building housing restaurants on First. Pierre said he sees the project connecting neighbors in the historic Evans Churchill neighborhood, which includes Roosevelt Row. 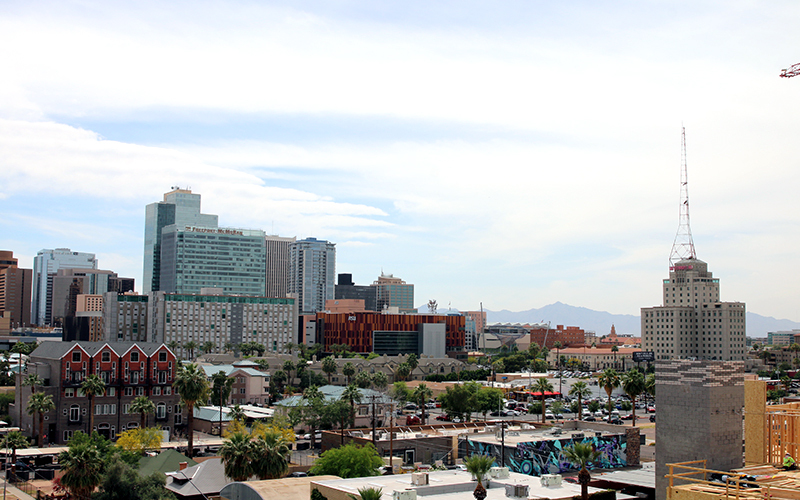 Phoenix is not the only city creating more space for their pedestrians. According to the George Washington University study, Detroit and Los Angeles officials said improvements enhanced pedestrian life and boosted business.